A popular container used in the warehouse industry for picking and storing small parts. | George Utz Ltd. This storage bin SILAFIX, helps the storage of small parts. These plastic containers gives you a good and clear overview in your warehouse - so that you can quickly access all products. 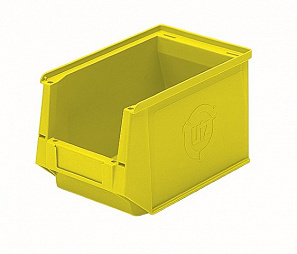 This storage bin yellow plastic is available in the size 230/200x147x132mm.